Weight training promotes lean muscle building which in turn improves metabolism. A higher metabolism means more calories are burnt which helps you lose weight effectively. It is a misconception that women will bulk up if they lift weights. Instead, what actually happens is their muscles get more defined, and strengthen making you stronger without sizing up. Weight training also strengthens your bones, increases your bone density and reduces the risk of osteoporosis and fractures. It strengthens bones, joints and ligaments relieves arthritic pains, prevents injuries and improves performance. 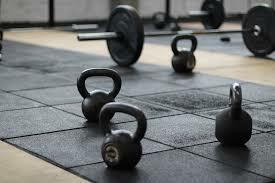 Weight training boosts metabolism and helps in breaking down fats stored in the body. This routine strengthens your back and core reducing back pain and improving one’s posture as well. Weight training promotes the release of endorphins, feel-good hormones that alleviate pain and improve your mood.